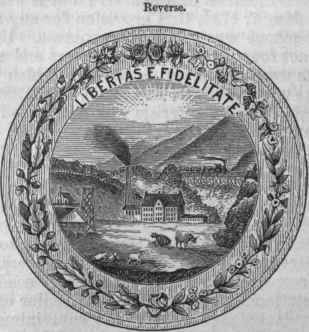 West Virginia, a state of the American Union, organized from a part of Virginia in 1863, lying between lat. 37° 10' and 40° 38' N., and Ion. 77° 40' and 82° 40' W. It is bounded N. by Pennsylvania and Maryland, E., S. E., and S. by Virginia, and W. by Kentucky, from which it is divided by the Big Sandy river, and Ohio, from which it is separated by the Ohio river. Its greatest length N. and S. is nearly 240 m.; greatest breadth, 160 m.; area, according to the United States census, 23,000 sq. m. The body of the state lies below lat. 39° 43' N.; but a narrow strip, known as the "Pan-handle," extends nearly a degree further north, between Pennsylvania and the Ohio river. The state contains 54 counties, viz. : Barbour, Berkeley, Boone, Braxton, Brooke, Cabell, Calhoun, Clav, Doddridge, Fayette, Gilmer, Grant, Greenbrier, Hampshire, Hancock, Hardy, Harrison, Jackson, Jefferson, Kanawha, Lewis, Lincoln, Logan, Marion, Marshall, Mason, McDowell, Mercer, Mineral, Monontralia, Monroe, Morgan, Nicholas, Ohio, Pendleton, Pleasants, Pocahontas, Preston, Putnam, Raleigh, Randolph, Ritchie, Roane, Summers, Taylor, Tucker, Tyler, Upshur, Wayne, Webster, Wetzel, Wirt, Wood, and Wyoming. The capital and largest city is Wheeling, which in 1870 had 19,280 inhabitants. State Seal of West Virginia. The rank of the state in 1870 was 27. Of the total population, 222,843 were males and 219,171 females; 424,923 of native and 17,091 of foreign birth. Of the natives, 381,297 were born in Virginia and West Virginia, 2,298 in Kentucky, 7,323 in Maryland, 1,359 in New York, 12,264 in Ohio, and 15,497 in Pennsylvania. Of the foreigners, 6,832 were born in Ireland, 6,232 in Germany, and 1,811 in England. The density of population was 19.22 persons to a square mile. There were 78,474 families, with an average of 5.63 persons to each, and 78,854 dwellings, with an average of 5.61 to each. There were 76,879 males and 73,965 females from 5 to 18 years of age, 76,832 males from 18 to 45, 95,317 males 21 years old and upward, and 93,435 male citizens 21 years old and upward. There were 48,802 persons 10 years of age and over who could not read, and 81,490 unable to write; of the latter, 20,046 white and 1,865 colored were from 10 to 15 years of age, 11,721 white and 1,704 colored from 15 to 21, and 39,726 white and 6,628 colored 21 years old and over. The state contained 168 blind, 218 deaf and dumb, 374 insane, and 427 idiotic. Of the total population 10 years of age and over (308,424), there were engaged in all occupations 115,229; in agriculture, 73,960, including 30,087 laborers and 43,702 farmers and planters; in professional and personal services, 16,699, of whom 466 were clergymen, 6,676 domestic servants, 5,815 laborers not specified, 400 lawyers, 612 physicians and surgeons, and 866 teachers; in trade and transportation, 6,897; and in manufactures and mechanical and mining industries, 17,673, of whom 1,525 were miners. The total number of deaths from all causes was 4,018, the ratio of mortality being.91 per cent. ; from consumption 709, there being 5.7 deaths from all causes to one from this disease; from pneumonia, 258; diphtheria, 186; scarlet fever, 157; cerebrospinal, enteric, and typhus fevers, 185; diarrhoea, dysentery, and enteritis, 233. - A large part of West Virginia is mountainous and hilly. The hills are very fertile to their tops, which are cultivated, and present a remarkable growth of grass. The soil, being clay, does not wash away. The Alleghany range extends along the E. border, and presents the highest levels in the state. Nearly parallel to it on the west, and distant from 20 to 40 m., is a series of ridges and mountains which might properly be termed a continuation of the Cumberland mountains, embracing what are locally known as Flat Top, Cotton Hill, Greenbrier, Gauley, Birch, and Rich mountains, Laurel Hill, etc. The country slopes W. to the valley of the, Ohio, and excepting the Potomac, which forms a part of the boundary between this state and Maryland, and its affluents, the rivers of West Virginia are tributary to the Ohio. The chief ones flowing directly into that river are the Big Sandy, Guyandotte, Great Kanawha (called New in the upper part of its course), Little Kanawha, and Monongahela, all of which are navigable. The most important tributaries of the Great Kanawha are the Greenbrier, Gauley, and Elk rivers on the north, and Coal river on the south. The Monongahela is formed in the N. part of the state by the confluence of its West branch and Tygart's Valley river, which have a northerly course. Its chief affluent is the Cheat river, which rises near the sources of the South branch of the Potomac. In the N. E. part of the state the North and South branches of the Potomac flow N. to form that river. All of these streams and their tributaries afford water power of unusual abundance; that at Harper's Ferry, formerly used by the United States government in the manufacture of arms, is the most conspicuous, though many other waterfalls and rapids in the state are not inferior in capacity. There is a system of locks and dams in the Little Kanawha, extending to Burning Spring in Wirt co., one of the oil regions of the state, to which point it is navigated by steamboats from Parkersburg. The national government is improving the Great Kanawha by locks and dams, as a part of the national water line from the Atlantic to the west. An appropriation of $400,000 was made for this purpose for the year 1875, and for the improvement of the Monongahela. The valley of the Great Kanawha is the finest grazing region of the state. Blue grass is indigenous. About two thirds of West Virginia is covered with forests. Large quantities of ginseng have been shipped from the state. The lumber trade is important. The chief kinds produced are oak, poplar, and hemlock, which abound throughout the state except on a few high levels. Next in importance, though not so abundant, are walnut, cherry, buttonwood, ash, chestnut, and locust. In the basins of the Kanawhas, Guyandotte, Monongahela and its tributaries, and Big Sandy, oaks, hickories, and poplars reach a height of from 75 to 100 ft. One of the most extensive pine regions in the state extends through Fayette and Raleigh counties along the New river. - The Alleghany coal field, which stretches from the N. part of Pennsylvania to the middle of Alabama, comprises within its limits the greater part of West Virginia. (See Coal.) The area of the coal formation in the state has been estimated at more than 15,000 sq. m., but much of this is unavailable for want of means of transportation, and mines have been opened in only a small part of it. The coal is found in two productive layers or groups, the upper and the lower, which are separated by the barren measures. Above the upper coal group is a second series of barren measures composed of alternate layers of shale and sandstone. The thickness of the whole, exclusive of the upper barren measures, is about 1,000 ft. The lower coal measures are about 250 ft. thick. In the N. part of the state they contain five seams of coal, the upper one being from 3½ to 4 ft. thick, and the others from 1 to 2½ ft. On the Kanawha river the coal seams are greater in number and size, and are among the best in the Alleghany coal region. The upper coal measures are more accessible and present larger seams in the N. part of the state. They are also about 250 ft. thick, and comprise four seams of coal, the lowest, the famous Pittsburgh bed, being 9 ft. thick. The others are 3½, 5½, and 7 ft. thick. Valuable beds of coal, convenient for mining and shipping, are worked along the Ohio river, on the line of the Baltimore and Ohio railroad in the N. part of the state, and in the Kanawha valley. One of the richest deposits of coal in the state is near Clarksburg, in the valley of the Monongahela. In one of the beds here, from 10 to 12 ft. thick, there are numerous mines which send large quantities of gas coal to the eastern and western cities; it is regarded as ranking among the best in the United States for the production of gas. The exposure of coal on the Great Kanawha is one of the most extensive and valuable in the United S'tates. For nearly 30 m. above Charleston four beds of coal stretch along the hillsides in parallel and nearly horizontal bands; the lowest is about 6 ft. thick. On the Gauley, Coal, and other rivers in this region frequent beds of coal are exposed. The coal of West Virginia is generally bituminous, but valuable beds of cannel coal are worked. Splint or iron-smelting coal is found on the Kanawha; in Ritchie co. there is a vein of albertite similar to that in New Brunswick. The Kanawha valley is one of the great salt-producing regions of the United States. The salines are on both sides of the Kanawha river, and extend from Charleston for about 20 m. above. (See Salt, vol. xiv., p. 576.) Large quantities of salt are also produced in Mason co. on the Ohio, and in Braxton co. on the Elk and Little Kanawha rivers. Iron ore in various forms abounds generally throughout the state. In the S. part are valuable beds of hematite and oxides and peroxides of iron. The iron ore alternates in the same hills with coal. It is found in broken and continuous beds, and often yields from 50 to 80 per cent, of pure metal. In the vicinity of Laurel Hill and across the mountains to the Potomac the ore yields from 60 to 80 per cent, of iron, and is regarded as the best in the state. Valuable seams are also found in Braxton co., from which iron is now manufactured. Large quantities of petroleum are obtained in a belt from 1 to 2 m. wide, extending from the Little Kanawha to the Ohio through the counties of Wirt, Ritchie, Wood, and Pleasants. Limestone in its various modifications abounds in nearly all parts of the state. Fire clay and potters' clay are common in several counties. Sandstones are abundant, and grindstones may be made in almost any section. A valuable buhrstone is obtained in Laurel Hill. A handsome quality of amygdaloid, or variegated marble, is found in the E. part of the state on the Potomac. The pillars in the old hall of the house of representatives at Washington are made of this Potomac marble. Fine seams of a good quality of marble have been discovered in Webster co. In Marion co. is an extensive deposit of white sand, which is used in the manufacture of glass in Wheeling. Alum and copperas are found in the crystalline state on the outside of banks of sand rock and shales. West Virginia contains numerous valuable mineral springs. The most important are the White Sulphur and the Blue Sulphur in Greenbrier co.; the Red, the Salt, and the Sweet Sulphur in Monroe co.; the Berkeley springs in Morgan co.; the Capon springs in Hampshire co.; the Shannondale springs in Jefferson co.; the mineral wells near Parkersburg; and a white sulphur spring at Addison, in Webster co. - The climate of West Virginia is generally free from extremes of heat and cold. The air, especially in the highland sections, is pure and healthful, and favorable to persons having pulmonary complaints. The Weston and West Fork, a narrow gauge railroad from Weston to Clarksburg, 23 m., is in process of construction. The Northern and Southern West Virginia railroad company has been organized to construct a line from Charleston to the Pennsylvania border; a survey and location of the road have been made under an appropriation from the state. Another projected railroad is the Washington and Ohio, from Alexandria, Va., to the Ohio river at Ravenswood in Jackson co., which has been surveyed and located, but for want of means has been completed only from Alexandria to the Blue Ridge near Hillsboro, Va. The line of this road is through some of the best coal and timber lands of West Virginia. Although the state is lacking in railroad facilities for the development and transportation to market of its rich mineral and timber resources, it is traversed by a system of good turnpike roads, affording communication through every county of the state. - Wheeling and Parkersburg are interior ports of delivery belonging to the United States customs district of Louisiana, to which foreign imports may be transported in bond after appraisement at New Orleans. In 1875 there were registered, enrolled, and licensed at Wheeling 201 vessels of 21,844 tons, and at Parkersburg 44 vessels of 4,505 tons. Boat building is carried on at Wheeling. The total number of national banks in November, 1875, was 15, having a paid-in capital of $1,846,000 and an outstanding circulation of $2,065,769. - The constitution, as amended in 1872, gives the right of suffrage to all adult male citizens who have resided in the state one year and in the county 60 days next preceding the election, excepting persons of unsound mind, paupers, and those who are under conviction of treason, felony, or bribery in any election. Only qualified voters are entitled to hold any state, county, or municipal office. The governor, judges, attorney general, and senators must have been citizens of the state for five years next preceding their election or appointment. Any citizen engaging as principal or seoond in a duel is thereby disqualified from ever holding any office of honor, trust, or profit in the state. No citizen shall be denied the privilege of voting at any election because his name has not been registered or listed as a qualified voter. The legislative power is vested in a senate of 24 members elected for four years, and a house of 65 delegates elected for two years. The sessions of the legislature are biennial, beginning on the second Wednesday in January, in odd years; they are limited to 45 days, but may be extended with the concurrence of two thirds of the members elected to each house. The senate chooses a president from its own body. Each member of the legislature receives $4 a day and 10 cts. a mile for travel. The speaker of the house and the president of the senate receive each $6 a day and mileage. A majority vote is sufficient to pass a bill over the executive veto. The executive department consists of a governor, annual salary $2,700; secretary of state, $1,000; state superintendent of free schools, $1,500; auditor, $2,000; treasurer, $1,400; and attorney general, who is also reporter of the court of appeals, $1,300. They are elected by the people for four years. The governor is ineligible to the same office for two successive terms. The general state election is held on the second Tuesday in October; there will be an election for state officers in 1876. The judicial power is vested in a supreme court of appeals, in circuit, county, and corporation courts, and justices of the peace. The supreme court of appeals consists of four judges, who are elected for 12 years by the people and receive an annual salary of $2,250 each. It has original aud appellate jurisdiction in cases of habeas corpus, mandamus, and prohibition, and appellate jurisdiction in civil cases where the amount exceeds $100, in controversies concerning the title or boundaries of land, the probate of wills, appointment of guardians, and some other enumerated matters. It has appellate jurisdiction in criminal cases where there has been a conviction for felony or misdemeanor in a circuit court. At least two terras of the court must be held every year. The state is divided into nine circuits, in each of which a circuit judge is elected by the people for eight years, and receives an annual salary of $2,000. A circuit court is held in every county twice a year. The circuit courts have the supervision of all proceedings before the county courts and other inferior tribunals by mandamus, prohibition, or certiorari. They have original and general jurisdiction of all matters at law where the amount in controversy exceeds $50, and hear appeals from the county courts. In each county there is a county court composed of a president and two justices of the peace. It holds six sessions a year, two of which are limited to matters connected with the police and fiscal affairs of the county. The president is elected by the voters of the county for four years. Justices of the peace are also elected by popular vote. United States courts are held at Clarksburg, Wheeling, Charleston, and Parkersburg. The constitution requires that taxation shall be equal and uniform throughout the state, and that all property shall be taxed in proportion to its value; but property used for educational, literary, scientific, religious, or charitable purposes may by law be exempted from taxation. West Virginia is represented in congress by two senators and three representatives, and has therefore five electoral votes. - West Virginia is liable for a part of the debt of Virginia existing at the time of the division of the state, but neither the ratio nor the amount of the debt to be paid by West Virginia has yet been adjusted, although Virginia has set apart a third, amounting to about $15,000,000, as West Virginia's share. The state has no other public debt, and claims that on a fair settlement it should pay but $1,500,000 of the Virginia debt. The revenue of the state during the year ending Oct. 1, 1875, was $547,426, and the disbursements were $576,172. The balance in the treasury at that date was $253,618, distributed as follows: state fund, $14,459; general school fund, $207,186; school fund, $31,973. The assessed value of property in 1873 was: real, $99,486,189, personal, $39,865,240; in 1874, real, $99,688,203, personal, $41,102,588. In 1875 the value of real estate had increased to $110,922,030. The state tax in 1873 amounted to $648,104, including $339,995 for state purposes, $237,914 for schools, and $70,195 for public buildings. In 1874 the tax was $573,307, as follows: for state purposes, $330,002; schools, $242,981; public buildings, $324. - The state hospital for the insane, at Weston, was opened in 1864. The total number of inmates, Oct. 1, 1875, was 349. 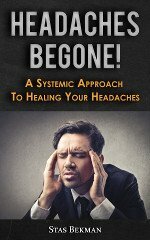 The average yearly cost of maintaining each patient was $125 18; total cost of the institution during the year, $69,310, of which $43,629 was for current expenses. The penitentiary, at Moundsville, on Oct. 1, 1875, had 105 convicts. The convicts are employed at various trades within the prison, but the institution is not self-sustaining. The state institution for the deaf, dumb, and blind, at Romney, was opened in 1870, and in 1875 had 5 instructors and 80 pupils, of whom 63 were deaf mutes and 17 blind. The current expenses of the institution are about $25,000 a year. There are accommodations for 120 pupils. - The supervision and management of the public schools are vested in a state superintendent elected by the people for four years; county superintendents elected for two years; district boards of education, each consisting of a president and two commissioners, elected for two years; district trustees; and county boards of examiners. * Operated by the Baltimore and Ohio company. The state normal school, established by the legislature in 1867 at Marshall college, is now. at Huntington; it was opened in 1868. Five branches have been established, viz. : at Fairmont, 1869; West Liberty, 1870; Glenville, 1873; Shepherdstown, 1873; and Concord. These schools are under the general supervision of a board of regents; they are maintained by the state, and are open to students free of charge for tuition, on condition that they will teach for a specified time in the schools of the state. In 1875-'6 there were 3 instructors and 80 students in the school at Huntington, 5 instructors and 161 students at Fairmont, 3 instructors and 26 students at West Liberty, and 5 instructors and 137 students at Shepherdstown. The West Virginia university, at Morgantown, opened in 1867, is under the general supervision of a board of nine regents. This institution has received the proceeds ($90,000) of West Virginia's share of the lands granted by congress in 1862 for the establishment of colleges of agriculture and the mechanic arts. The citizens of Morgantown contributed to its establishment about $50,000 in grounds, buildings, and money. The endowment has been increased to $110,000 by the legislature, which also makes annual appropriations. The university embraces six departments, viz. : 1, preparatory; 2, literary, covering a four years' course of studies arranged in nine schools, upon the completion of which the degree of bachelor of arts is conferred; 3, scientific, affording a four years' course in eight schools, and leading to the degree of bachelor of science; 4, agricultural, with a two years' course; 5, military; 6, engineering. There is also an elective course for those unable to graduate in any of the regular departments. A normal class for the benefit of teachers is formed every spring. In 1874-'5 there were in the university 11 instructors and 125 students. The institution has a library of about 4,000 volumes, valuable scientific apparatus, and a museum of natural history. Bethany college (Disciples'), at Bethany, opened in 1841, in 1875-6 had 7 instructors and 125 pupils. West Virginia college (Freewill Baptist), at Flemington, opened in 1868, has normal, preparatory, and college departments; in 1875-'6 there were 7 instructors and 75 students. Storer college (Freewill Baptist), at Harper's Ferry, has primary, normal, and academic departments. It was opened in 1867, and in 1875-'6 had 10 instructors and 130 students. On April 22, 1861, nearly 1,200 citizens assembled in Clarksburg, in the W. part of Virginia, denounced the action of the Richmond convention in passing the ordinance of secession, and recommended the people of N. W. Virginia to meet in convention in Wheeling, May 13. Similar meetings were held elsewhere, and delegates from 25 western counties met in Wheeling and passed resolutions denouncing the ordinance of secession and providing for a convention of all the counties of Virginia adhering to the national government. An election of delegates having been held on the 26th, the convention, representing 40 counties, assembled in Wheeling on June 11, repudiated the acts of the convention and authorities in Richmond, and on the 20th elected as governor of the " reorganized state of Virginia "Francis H. Peirpoint, who at once entered upon the duties of that office. A lieutenant governor, an attorney general, and an executive council of five were also appointed. The legislature assembled in Wheeling on July 2, elected two United States senators, and on Aug. 20 passed an ordinance providing for an election to be held on Oct. 24 to decide upon the formation of the new state of Kanawha. The people by a large majority declared in favor of this measure. At the same time delegates were chosen to a constitutional convention, which assembled in Wheeling on Nov. 24, and framed a constitution,- which was ratified by the people on May 3, 1862. 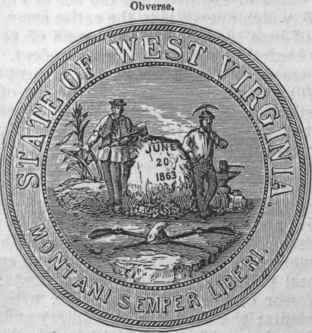 On May 13 the consent of the legislature was given for the formation of the new state, the name of which had been changed on Dec. 3, 1861, to West Virginia. By an act approved Dec. 31, 1862, congress provided for the admission of West Virginia into the Union, upon the ratification by the people of the proposed amendment to the constitution abrogating its provision that no slave or free colored person should come into the state for permanent residence. This amendment was ratified, March 26, 1863, and on April 20 President Lincoln issued a proclamation declaring that the prescribed conditions had been complied with, and that the constitution should go into force in 60 days from that date. The state then comprised 48 counties; four new ones have since been organized. The subsequent admission of the counties of Berkeley and Jefferson was contested by Virginia, but a decision has been rendered by the supreme court of the United States in favor of West Virginia. State officers were elected on May 28, and on June 20 the state government was formally inaugurated, with A. I. Boreman as governor. Gov. Peirpoint now transferred the reorganized government of Virginia to Alexandria, Richmond being still under confederate control. The seat of government of West Virginia was in Wheeling until April, 1870, when Charleston, pursuant to an act of the legislature of Feb. 26, 1869, became the capital. In 1875 Wheeling was again made the capital. A new constitution was framed in 1872, and ratified by the people on Aug. 22. - Military operations in what is now West Virginia were, with few unimportant exceptions, confined to the year 1861. Gen. McClellan assumed command of the federal forces there early in the summer, and in July was succeeded by Gen. Rosecrans. The confederates were driven from the state after numerous engagements during the summer and autumn, the most important being those at Philippi, Beverly, Rich mountain, Cheat mountain, and Carnifex ferry. During the war West Virginia furnished to the federal army 30,000 troops, equivalent to 27,650 for three years.